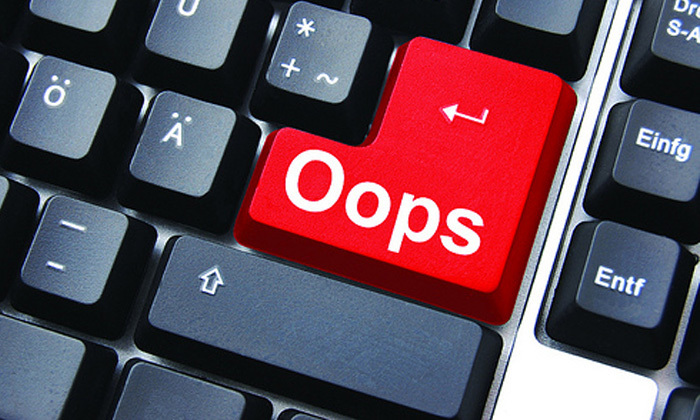 Research is suggesting those of us who make mistakes are perceived to be more likeable people. Called the Pratfall Effect, the theory, which was tested by psychologist Elliot Aronson, claims those who make the occasional mistake appear more human and hence, more likeable. Aronson’s experiment involved getting a group of participants to listen to two groups of people answering a quiz, with respondents from one group knocking over a cup of coffee. When asked which group were more likeable, the coffee spillers took the lead. However, this is by no means a get out of jail free card when it comes to making more mistakes at work. In order to effectively apply the Pratfall Effect to the workplace, the secret isn’t in making mistakes – it’s admitting to them. Last week, we said one of the things leaders could be better at was admitting their own shortcomings, and moving forward as a team. Again, while some may be concerned this might portray them as being weak, the vulnerability allows for strong trust and relationship building opportunities. On the other hand, as a leader, you must also be aware of employees using the Pratfall Effect to their advantage. Be wary of falling into the trap of cleaning up other people’s messes or picking up the slack because they appear overly apologetic or helpless. I firmly believe the key to building an innovative, productive and engaged work ecosystem is to foster a culture where mistakes are okay. But in doing so, leaders have to maintain a balance between allowing employees to fail and learn, and an environment where efficiency is being bogged down by blundering team members. Do you think the Pratfall Effect is beneficial in the workplace, or do you have advice on how to deal with employees’ mistakes? Find out why the company's HR head calls its brainteaser questions "a complete waste of time". .. However, not all employers are taking the step to better equip their employees to increase productivity and digital-readiness. ..